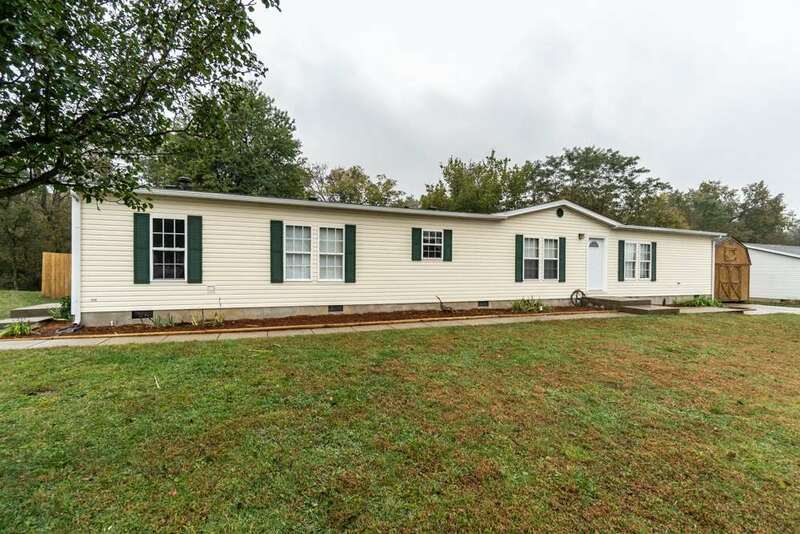 Huge Doublewide on Permanent Foundation, 3 br's, 3 baths. Large master w/huge master bath's and closets, new carpet, BIG storage shed incl. in sale. Fully fenced in wooded lot. All you need to do is move in!! !